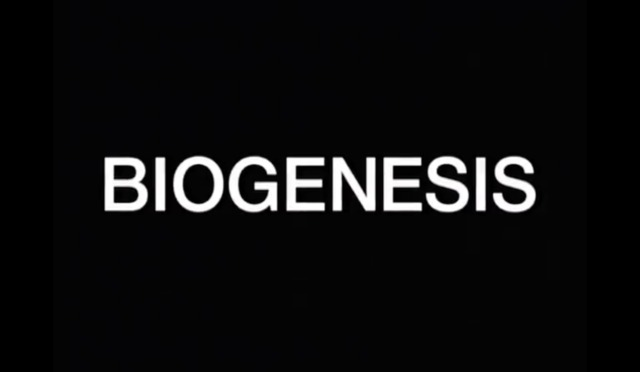 Biogenesis shows the evolution of artificial life forms in a synthetic universe where ‘survival of the fittest’ is replaced by ‘survival of the most aesthetic‘. We see cellular evolution and the replication of mutations forming chain-like structures resembling coral. The artist is like a gardener, breeding, selecting, marrying and steering the course of evolution for creative ends. The film is a record of this evolutionary process. It can be viewed as a psychedelic experience or a more subtle parody of a man’s relationship with the natural world through modern technology.